Company will demonstrate new embedded imaging products and capabilities. Photonics West visitors may enter a drawing to win one of two Embedded Vision Development Kits for Basler dart BCON. 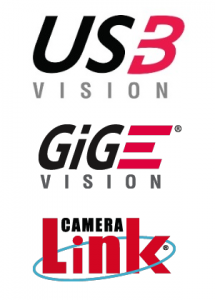 Critical Link, LLC, experts in image sensor technology, system-on-chip (SoC) and field-programmable gate array (FPGA) designs, vision protocols, and signal processing, will present five embedded imaging demonstrations in South Hall booth # 210 at SPIE’s Photonics West 2018, Moscone Center, San Francisco, January 30 – February 1, 2018. 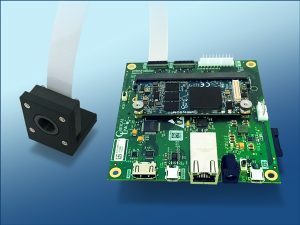 The company will demonstrate its latest Embedded Vision Development Kit (VDK) which integrates Basler’s dart BCON camera with Critical Link’s most popular processor board, interfaces, and onboard FPGA processing. In addition, Basler’s Pylon camera software suite completes the kit’s functionality. Visitors may enter to win an Embedded VDK, two of which will be raffled at the end of the show. Critical Link’s second demo highlights a new 48MP Imaging Platform with On-Board Processing which features the AMS/CMOSIS CMV50000 high speed CMOS sensor, Critical Link’s Arria 10 SoC image processing board, and HDMI, AIA U3V (USB3.0), Camera Link, and AIA GigE Vision interfaces. Out-of-the-box processing includes bad pixel replacement, 2-point pixel correction, image cropping, and up/down scaling. The company will also demonstrate a 2MP Ultra-Low-Noise Embedded Imaging Platform with Edge Detection that features superior performance in low-light applications. 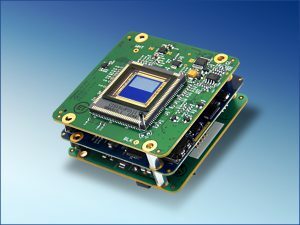 The BAE/Fairchild Imaging CIS1910 is a 1920 x 1080, 6.5 µm square pixel, low-noise sCMOS sensor with global and rolling shutter modes, and color or mono imagery. Highlighting some of the company’s design capabilities will be a Small Form Factor Sensor Design, Portable Imaging Device with HDMI and USB2.0 interfaces. Critical Link’s engineering team rapidly developed the custom device which offers video playback and still image capture, including date and time stamp, and uses a low-cost Intel/Altera Cyclone V SoC processor. The design features an image sensor from OmniVision. Finally, Critical Link will demonstrate MIPI Real-Time HD Image Transmission over Extended Distance featuring a SONY IMX219 8MP CMOS color image sensor. The design integrates MIPI, I2C, and HDMI interfaces, with MIPI transmission length of 30 feet. Onboard processing capabilities include functions such as image rotation, color combining, white balance, auto gain control, defective pixel location/replacement, image overlay, and brightness and contrast, many of which will be demonstrated live. The company invites OEMs, integrators, camera designers, and others interested in advanced imaging solutions to come by Critical Link’s South Hall booth #210 to learn more and enter the drawing to win one of two Embedded VDKs for Basler dart BCON. For more information about the company’s embedded systems, custom imaging platforms, and full engineering support services and product development, please visit: https://www.criticallink.com/services/. Privately held, Critical Link is a Platinum member of the Intel FPGA Design Services Network and Intel IoT Solutions Alliance, a Platinum Partner of the TI Design Network, and a certified member of the Arrow Consulting Engineering Services (ACES) network, and is ISO 9001:2008 Registered by SRI Quality System Registrar.